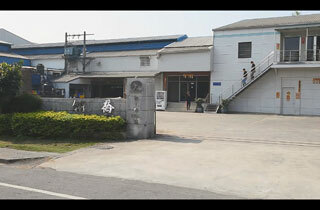 A excellent lost wax investment casting manufacturer in Taiwan | LIN CHIAO CASTING CO., LTD.
LIN CHIAO CASTING CO., LTD. - LIN CHIAO CASTING CO., LTD. was established in 1988, and has enjoyed an excellent reputation as a Professional manufacturer of Vales, Pumps, Impeller and turbine, Pipe fittings, Manifolds, Auto mobile parts, Marine Parts, General Parts, Machine Parts, OEM products. Lin Chiao's Trading Stories - Investment Casting For The Largest Orthotics Prosthetic Parts Supplier In The U.S. Contact Us Lin Chiao Casting Co., Ltd. Welcome to LIN CHIAO CASTING CO., LTD.
LIN CHIAO CASTING CO., LTD. was established in 1988, and has enjoyed an excellent reputation as a Professional manufacturer of Vales, Pumps, Impeller and turbine, Pipe fittings, Manifolds, Auto mobile parts, Marine Parts, General Parts, Machine Parts, OEM products. A excellent lost wax investment casting manufacturer in Taiwan - Over 24 years of experience in investment casting technology. Lin Chiao provides high quality investment casting products in various industries all over world. Our 24 years experience consolidates various measuring facilities to guarantee our products to meet your requirements. The hip orthosis devise is designed to provide protection and support for Patients at risk for problems related to hip instability. The different pumps meet different customers' special needs and multiple material choices makes customers' can make their design come true. A comprehensive range of manifolds and filter housings for liquid and gas application in different industries. Copyright © 2019 LIN CHIAO CASTING CO., LTD. All Rights Reserved.